Halal Global is the inspection agency that controls and certifies, both within Italy and abroad, those products that comply with Halal quality. Halal Global, whose members have many years of experience in the field, is able to provide companies with this type of certification. In an increasingly growing Halal market, concerned not only with food production, Halal quality certification allows manufacturers to guarantee that their products are Halal. The certified company can therefore enter the Halal market, both nationally and internationally, confident that its products will be recognized as respectful of Muslim precepts. Halal Global will participate to the exhibition Brand Italy to support companies that have obtained the Halal certification. Brand Italy is the first "Made in Italy" Trade Fair in Qatar. Culinary Art excellence, furniture and architectural design, tourist attractions: Italian style as a way of life. An itinerary that will give visitors the possibility of discovering Italy through the companies that have made "Made in Italy" a successful brand. 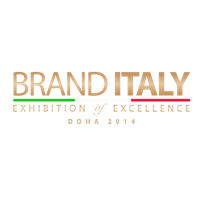 Brand Italy will be hosted at the Qatar National Convention Centre (QNCC). Halal Global has been present at Marca 2014, the only Italian event devoted entirely to Private Label in large-scale distribution. Halal Global has partecipated at Anuga 2013, the world's leading food fair for the retail trade and the food service and catering market. Halal Global has partecipated at Sana 2013, international exhibition of organic and natural products. Sana 2013: for 25 years the event of reference in Italy for organic products, natural and herbal remedies.